Lunch: 6 miles, averaged 9:24. HR 121. Cool and rainy but it was a nice recovery run. PM: 6.3 miles, averaged 9:32. HR 124. Foggy and damp at the park. Saw 3 deer. AM: off. Slept for a bit before meetings with students. Warmed uo 30' with just a few strides in slightly warmer and more humid weather than the last few days. Still under 70 degrees though. Felt pretty decent on the warmup. The tempo was 10-mile effort, but it was likely a few clicks below that given the HR, which seemed slightly wonky but probably pretty close at 180 BPM. Averaged 6:07. I was breathing pretty good at the end but recovered fairly quickly. 1' intervals were solidly in the 5:30 range. Cooled down 20' and then changed into a new pair of shoes to test them for another 20'. I like them a lot so far (Saucony ISO Freedom). I finally found a pair that had the right price. It only took 2-3 years. Lunch: 6.8 miles, averaged 9:34. HR 132. PM: 6.4 miles, averaged 10:09. HR 123. Very tired. Looking forward to a cool afternoon/evening ride tomorrow. AM: 7.6 miles, averaged 8:35. HR 139. PM: 37.2 mile ride. HR 139. Thursday night ride. Decent pace. 18.6 MPH. Would have liked to have pushed a bit more, but a great time as always. A decent chunk in the dark. This effort in July in the heat and with my weight and fitness then would have my heart rate in the upper 150s to low 160s. This is now a "easy" effort. Much stronger on the hills. AM: 7.6 miles. Did some hill blasts. PM: 6.8 miles, averaged 9:28. HR 122. Noon: 15.1 miles, averaged 7:45. HR 154. Warmed up 3 miles, just as the thunderstorms rolled through. Typically I get really skittish and play it safe but I wasn't in the mood to miss a workout. So I kept at it until things got a little hairy and started back home. The storm seemed to lessen in intensity, so I started the workout and decided if it got worse again, I would go home. It didn't. Good amount of rain, but I don't mind running in the rain as long as it is not really windy or very cold. My legs felt like they weren't firing at all, probably from the blasts yesterday and the overall exercise volume these last few weeks. Still did okay. I took auto splits but didn't have average pace on. Jogged for 5' and then did my 6 x 45" strides will jog/shuffle back to starting point. Those were a lot faster than they felt. Good to see my legs are moving when I am tired. Cooled down 3 miles or so. PM: 5 miles, averaged 10:26. HR 125. Lunch: 6.1 miles, averaged 10:41. HR 116. Watched the Chicago marathon. 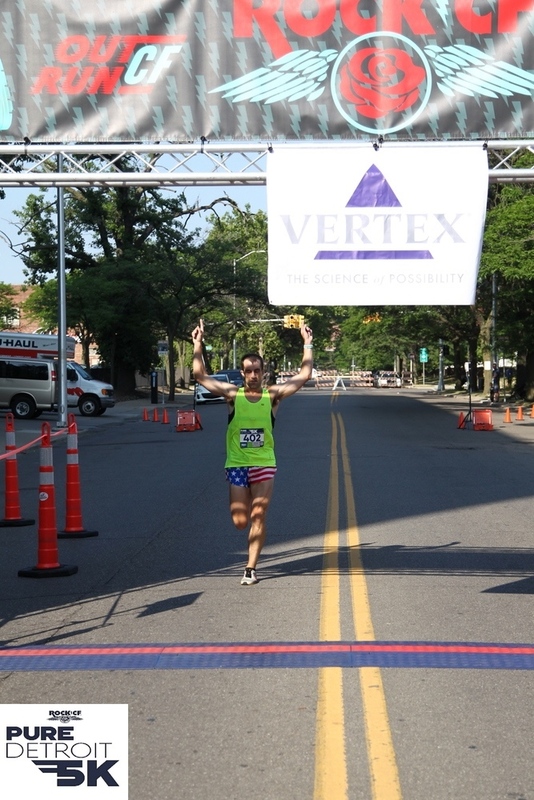 A guy I follow on Strava ran 2:19:03. Last year he ran 2:22 I think and before that his previous PR was 2:27 or 2:28. PM: 6.4 miles, averaged 10:20. HR 119. Lunch: 7.1 miles, averaged 9:14. HR 135. PM: 7.75 miles, averaged 8:25. HR 147. Very warm and humid for October. Went shirtless, which doesn’t beat my November 6. 2015 run in Philadelphia. AM: 11.2 miles, averaged 8:03. HR 159. I dropped off my car to get a hitch mounted and found out two students were traveling for sports, so we rescheduled meetings and I was able to get my workout in in the morning, which I hadn't planned. It was warm. 70 degrees to start and 79 to finish with a dew point of 69 and the humidty starting in the 80% range and lowering to the 70% range. I did well in the conditions and felt very strong, even chasing down one of the park maintenance guys on his lawn mower. Warmed up 2 miles and got into the workout. I turned my pace on to control the effort, making sure I was a bit slower than last week so I didn't blow up. Averaged 6:13, which was okay given the warm conditions and the pending 2' intervals. First lap was around 6:20, so the next two were around 6:10 or 6:11. HR 177. Took a 5' jog after hacking a bit and got into the 2' intervals, which were not super fast but strong and controlled. 5:52-5:46. Lunch: 11-mile bike commute to campus. HR 154. Faster than I would have liked a commute effort but I was running late. I ended up meeting with a student in my cycling kit, which you can really only do as an academic. I showered after. PM: 11-mile bike commute. HR 134. HR data junk first 2 miles. Probably around 128-133. PM: 6.2 miles, averaged 10:28. HR 122. AM: 8 miles, averaged 8:11. Cool and windy. The wind was taking the motivation out of me. I picked it up the last 3-4' and ran the last mile in 6:32. Would have been a lot faster had I started the pickup sooner. Should be a cool ride later. Evening: 36.7-mile ride. HR 142. Cold and windy. Tried to dress warm and ended up being just about perfect. I crashed a few miles in. We were going about 20MPH and I hit a massive pothole. My front tire washed out and I went over the bars. I managed to land on my feet (I think) after flipping a few times. A guy behind me also went over. People helped untangle bikes and get everything running. A few scapes and sore areas but otherwise fine. I finished the ride with my bars a bit forward in the stem. Eventful night. Dark for a large portion of the ride. AM: 7.7 miles. Did some hill blasts. PM: 6.6 miles, averaged 9:48. HR 122. First few w/ Megan in the PM. Workout went well. It was chilly and damp today. My HR monitor crapped out, so I used my Wahoo (bike) one and that worked fine. $50 as opposed to $100 for the garmin ones too. Lunch: 16 miles, averaged 7:37. HR 147. Changed the workout just slightly from the schedule, but this was basically the same idea. Warmed up 4 miles in some very fallish weather. First day in hat and gloves. Could not get moving but I’ll take a legs problem rather than a lungs problem any day. Just zapped from the blasts. Let the pace drop as I went along and turned it into a sorta progression sorta cutdown. Had a nasty hacking fit from the cold air. HR was apparently in the low 160s for most of the workout miles and only hitting 168 for the last mile. Lunch: 4.4 miles, averaged 10:14. HR 125. Sore. Like, pretty much marathon sore. I think the downhills did it. I just don't run that hard downhill these days. Or any downhill really. PM: 4.1 miles, averaged 9:49. HR 122. On further reflection, there was also some concrete mixed in, especially on the downhills. That and a lack of a cool down would do it. Ouch. AM: 5.6 miles, averaged 9:52. HR 129. PM: 4 miles, averaged 9:55. HR 127. AM: 11.2 miles, averaged 8:01. HR 152. 30'/20' down. It was fairly cold (39 degrees), but it warmed up a bit. 39 is fine with me anyway. Felt pretty good throughout the workout. Maybe a working a little bit harder than normal, but maybe this is the right effort for the workout as I was starting to really get blasted the last 10-15" of the last rep. About 5:43 average pace. Need to get the pace down on these. A cobweb clearer from the half marathon 9 days ago. PM: 6 miles, averaged 10:02. HR 125. Anxious and ticked off for now good reason, so I ran a little longer than my typical 4-mile shakeout after a morning workout.